Cycling Scotland is committed to making the Bikeability Scotland training programme as inclusive as possible. As per our mission statement, we aim to create and deliver opportunities and an environment so anyone, anywhere in Scotland can cycle easily and safely. While there will be certain outcomes of the training that represent practical impossibilities for some individuals, that should in no way preclude them from accessing and enjoying the many and various benefits of Bikeability Scotland, or cycling in general. In the first instance, all pupils with additional support needs should be assessed on an individual basis by the lead instructor prior to attending training. The support required will depend on their disability and the effect of this on their ability to cycle. It may often be a simple case of asking for extra volunteer support, or investigating the use of an adapted bike, in order for the pupil to take part in the training. Any concerns in assessing the trainee's needs should be addressed by speaking to the pupil themselves, their parent/guardian, their teacher/support worker, the local authority co-ordinator and/or anyone else relevant who's involved in their support. 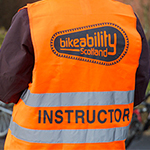 If you are already a Bikeability Scotland instructor, you can access a free, one day CPD course on delivering inclusive cycle training, here. This course is based on a good practice guide, produced by the Department for Transport (DfT), which can be accessed here. Cycling Scotland is fully committed to unimpeded access to, and equal opportunities in assessment, and will consider the needs of all potential training course candidates. This includes candidates with a range of impairments such as physical or mental impairments which have a long term adverse effect on that person, or protected characteristics which would not prevent them from completing their instructional duties competently. 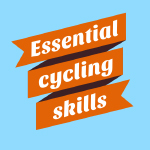 Cycling Scotland will strive to make its training courses accessible to all candidates who are capable of demonstrating their competence, thereby minimising any later need to make any further reasonable adjustments for the candidate. If however it is felt that, despite the accessibility of Cycling Scotland’s training, a candidate with a particular requirement should be offered extra assistance, this can be done. In such cases, Cycling Scotland will make reasonable adjustments for candidates with particular requirements to ensure that the candidate can access training and assessment, and demonstrate attainment. Further details on reasonable adjustments and specific assessment requirements can be found in Cycling Scotland’s training policy document here. For further advice and information, we are very happy to recommend our national partners FABB Scotland. 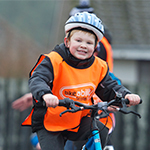 Through joint membership of the Cycling and Young People Group, Cycling Scotland identifies FABB Scotland as the leading experts in supporting disabled children and young people to benefit from cycling opportunities. There are also a number of locally based organisations, endorsed by FABB Scotland, which offer support in all ability cycle instruction, details of which can be found here. If your Local Authority Area doesn’t appear on this list, you may wish to contact your local authority Bikeability Scotland coordinator, details of which can be found here.